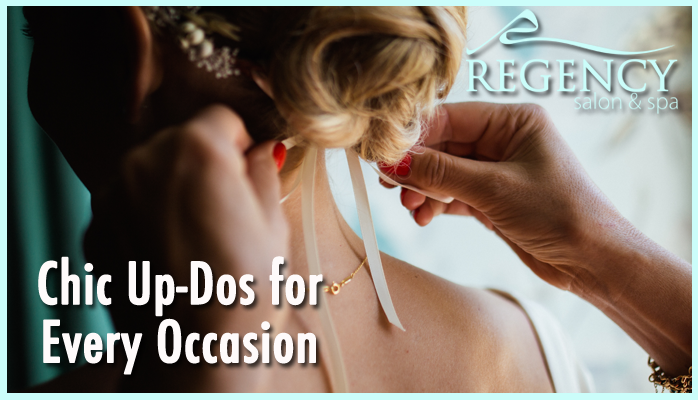 Most of us think of up-dos when it’s time to get a little fancy. Prom, work events, holiday parties—these are all great times to give your hair a little extra attention. But up-dos aren’t just a girl’s go-to glam look. They also add a bit of panache to backyard barbecues, your kid’s soccer games, or even just a trip to the mall. The key is knowing which look to use where. Read on for four of our top style choices. Divide hair into two parts at the nape of your neck. Twist each section to the end, and then twist the two sections together to form a chignon. Secure with bobby pins. Pull out a few pieces for a softer, free-flowing look. Wear it: Chignons shout sophistication. Wear them for those glitzy parties or out on a date. No time to shampoo those curls? No problem. Give them new life with a sassy, freestyle updo—perfect for super curly chin-length styles. 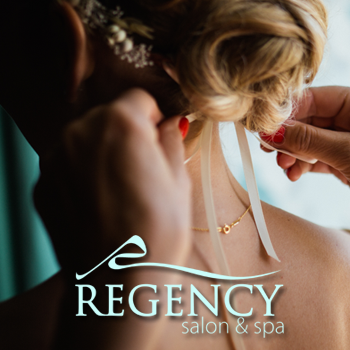 Clip the crown of your hair forward, and roll remaining hair away from your face and upward, securing with bobby pins as you go. Unclip the top of your hair and let it fall forward, spilling over the pinned sections. Accent with barrettes. Wear it: This style is perfect for weekend activities when you want to give your hair a break from heat styling. Kick your top knot up a notch by adding a braid. Secure hair in a high ponytail and braid. Wrap the braid like a bun and secure with pins. Wear it: Top knots can be both chic and casual, depending on how you accessorize them. Try this braided top knot at your next backyard barbecue or on an outing with the girls. Start with a high pony tail. Twist to wrap hair around itself until it looks like a cinnamon roll. Secure with a hair elastic and bobby pins, and then pull out pieces to loosen and give it the “messy” look. Wear it: The messy bun may be the most versatile bun out there. It can work for short, medium, or long hair. The more strands you pull out, the “messier”—and more casual—it will look. Try it for work, weekend soccer games, or community events. Pro Tip: Add extra glam to any up-do with gorgeous accessories like a piece of velvet ribbon used as a headband, glittery bobby pins, or a decorative clip.